Karen Faye is a fairly new artist who has been painting since January of 2014. 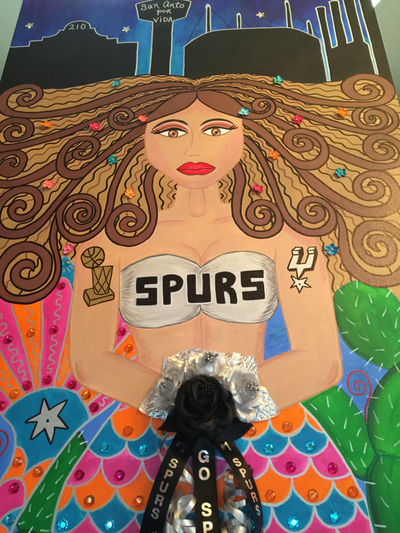 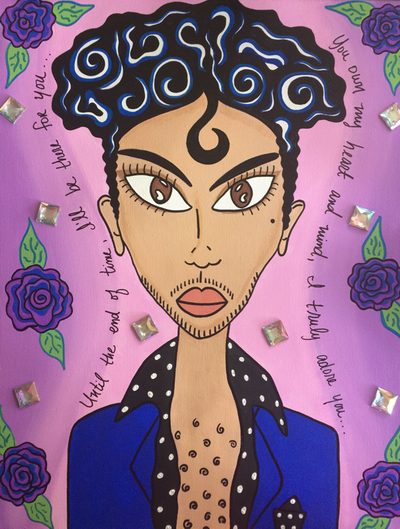 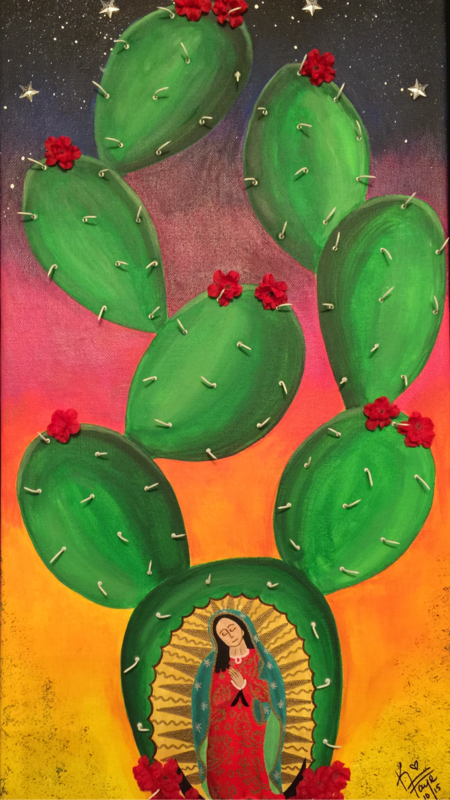 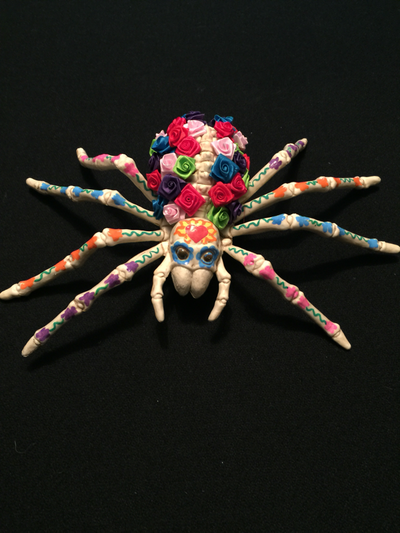 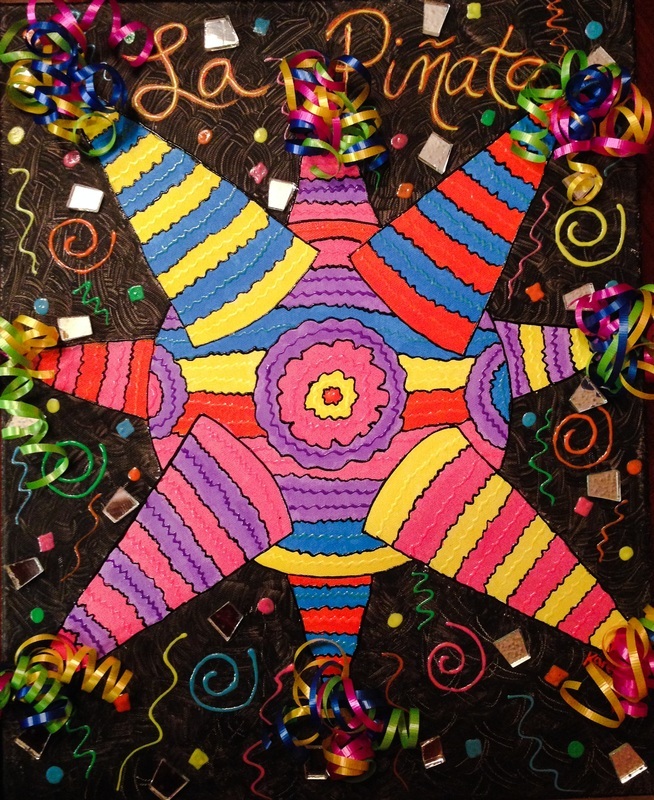 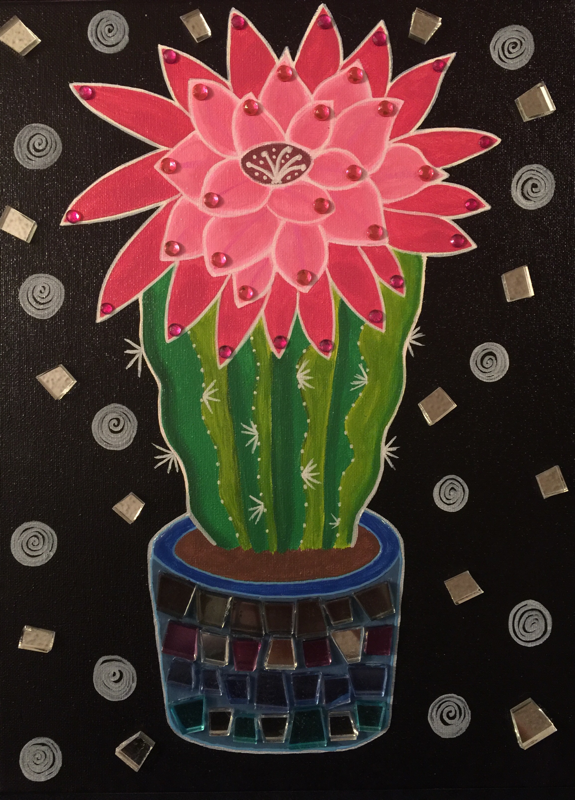 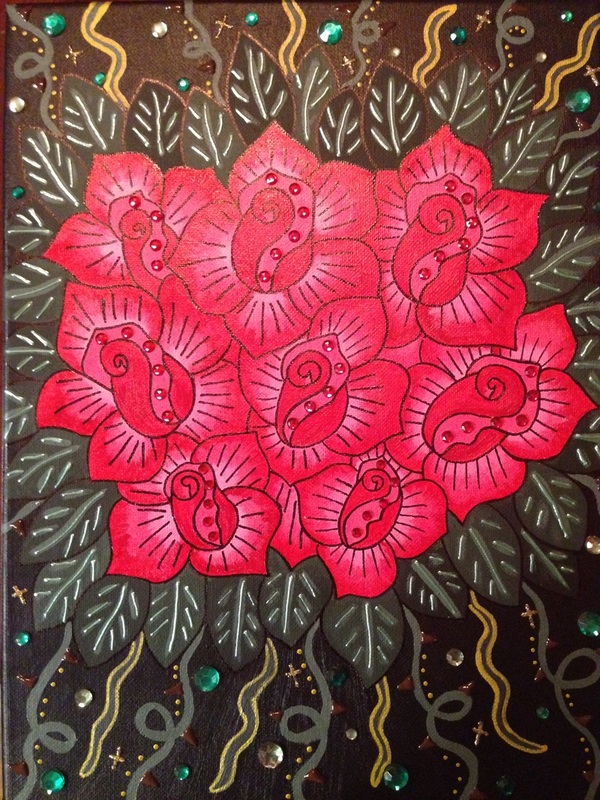 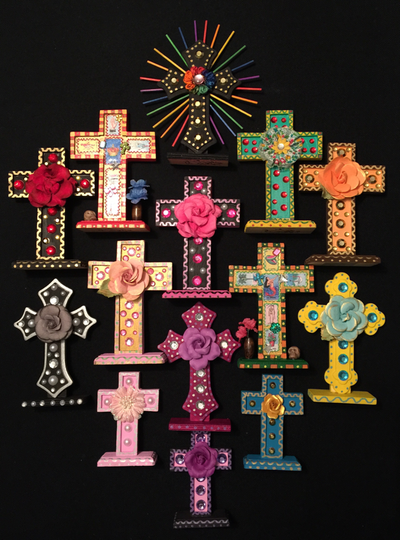 Her work consists of acrylic paint on canvas and adds her own unique personal touch of items such as beads, ribbon, thorns, etc. 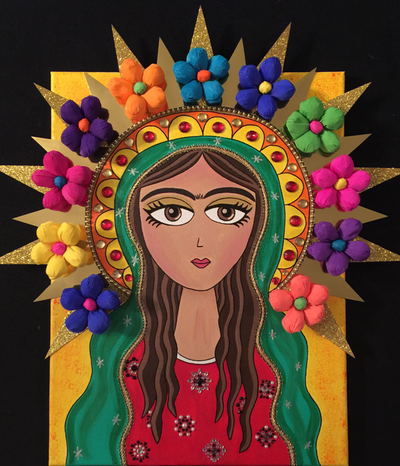 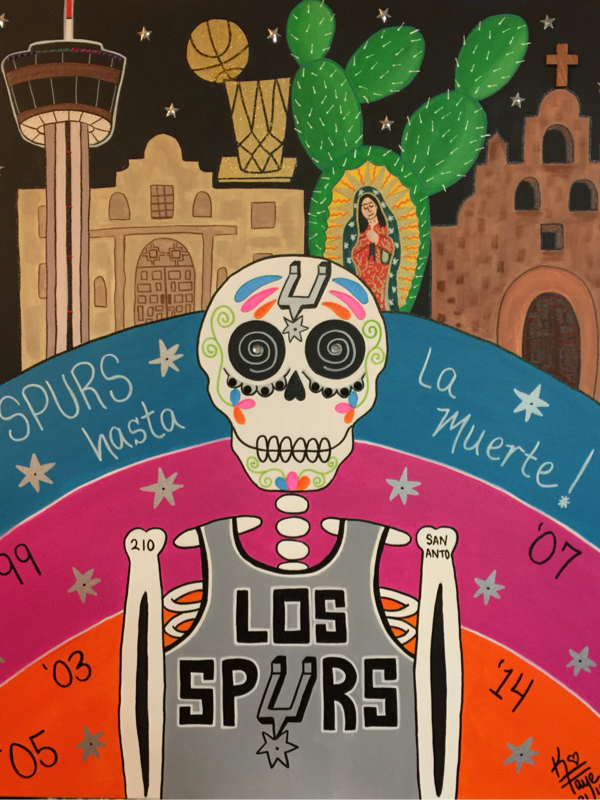 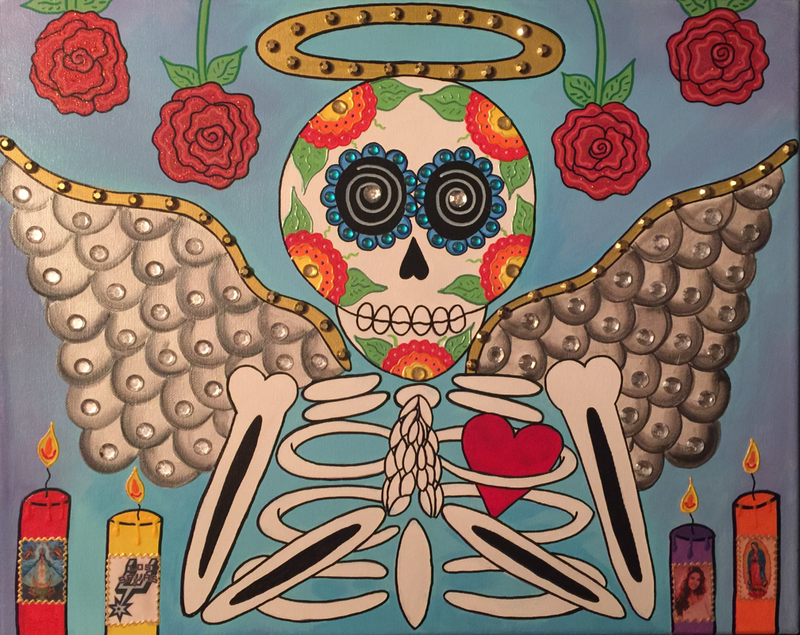 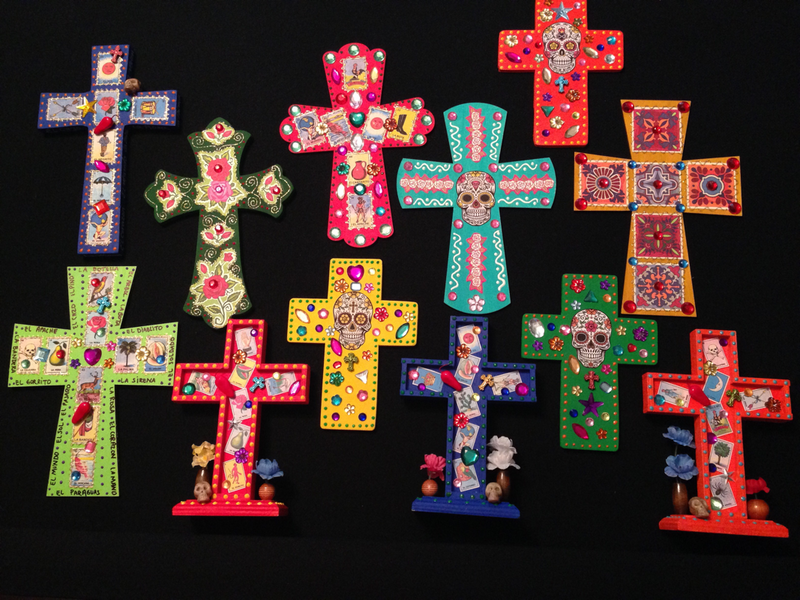 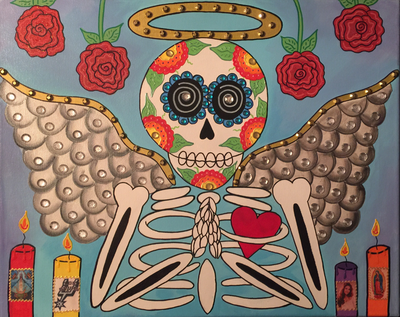 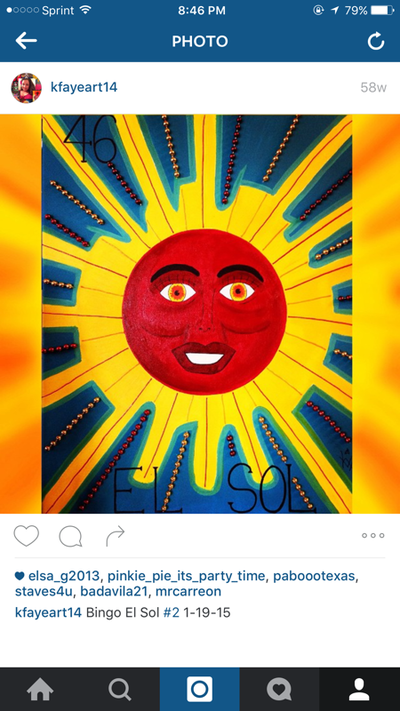 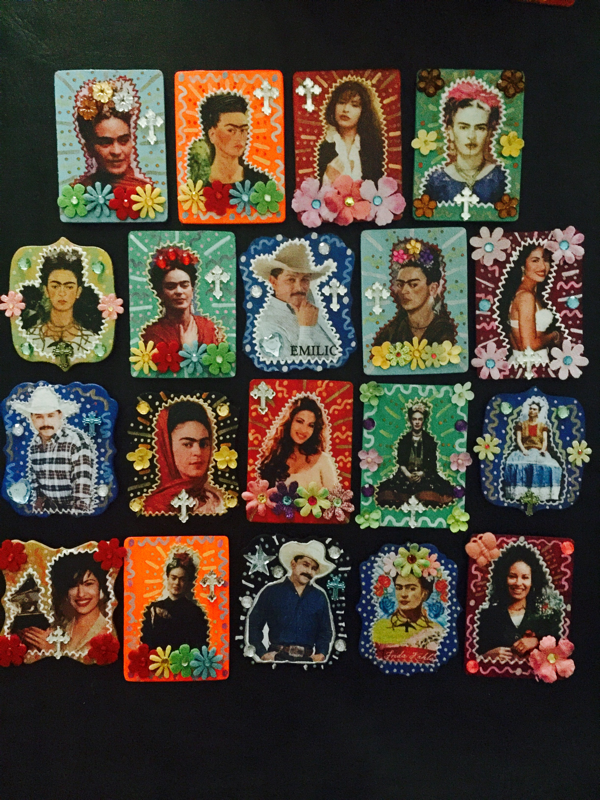 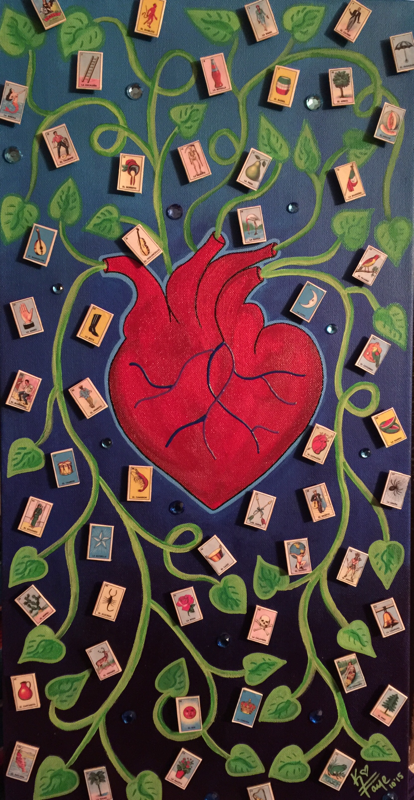 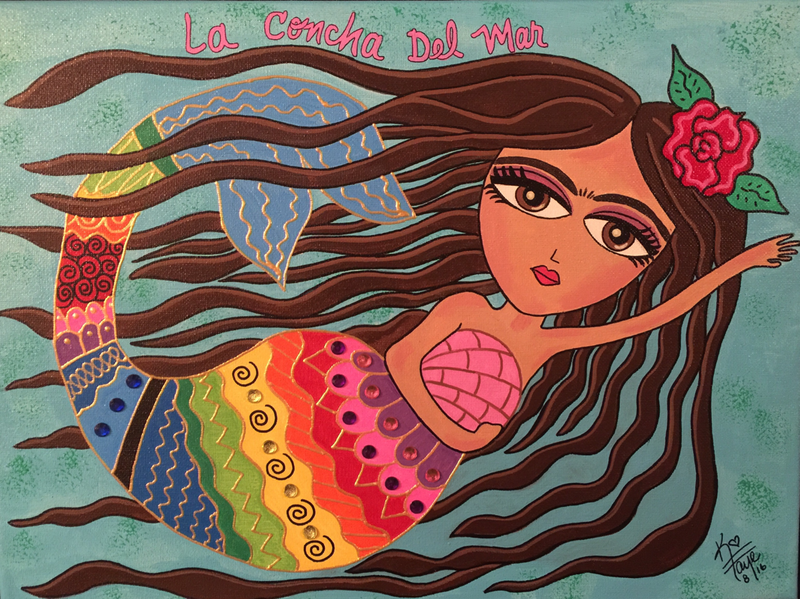 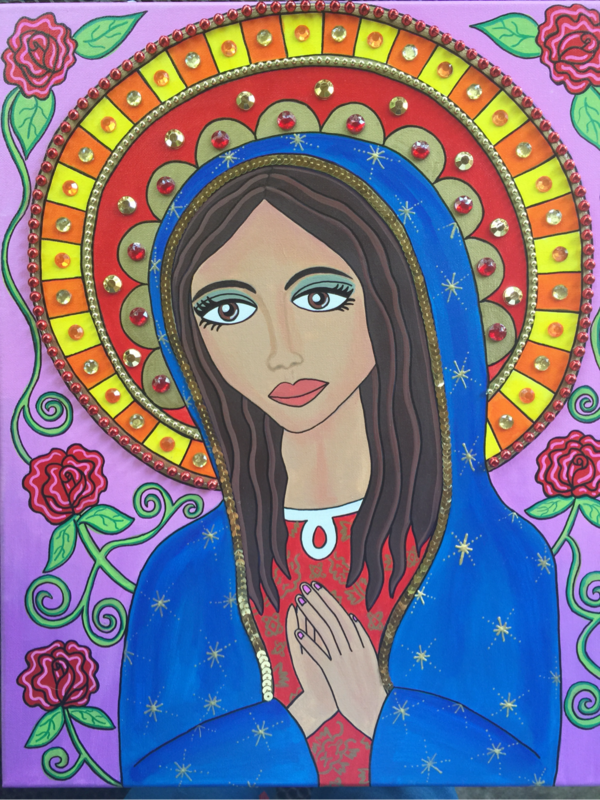 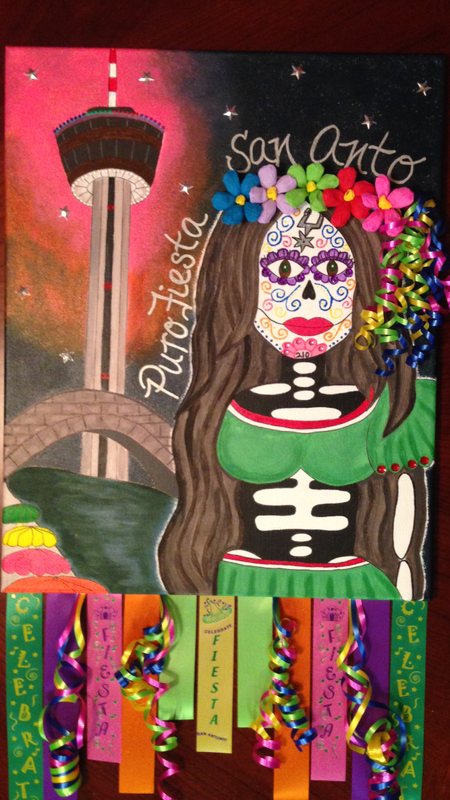 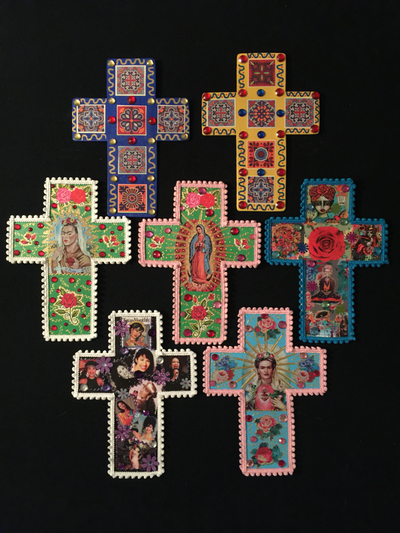 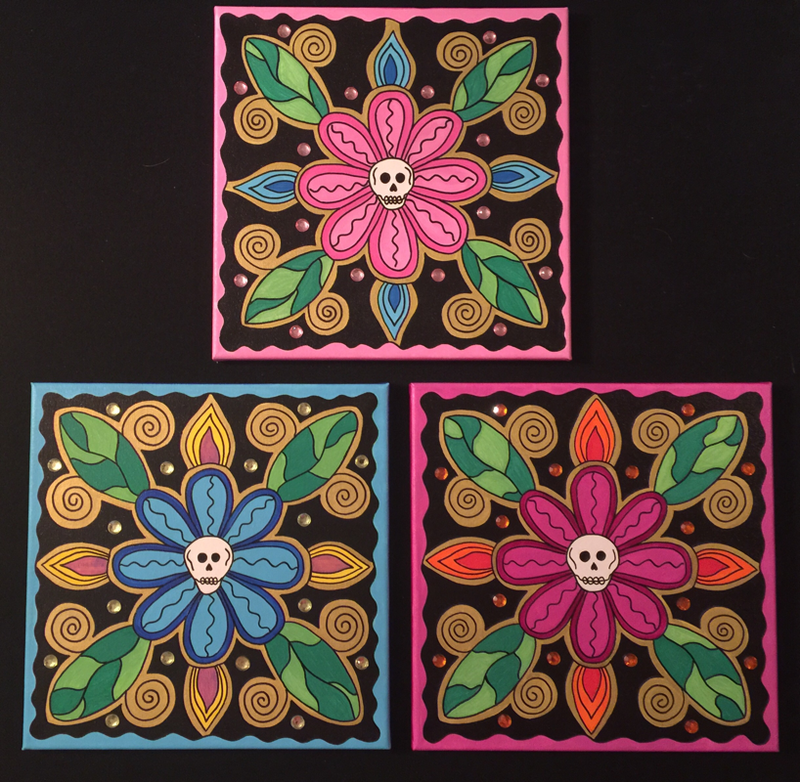 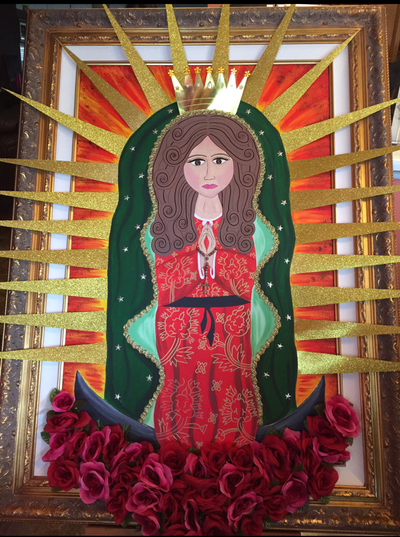 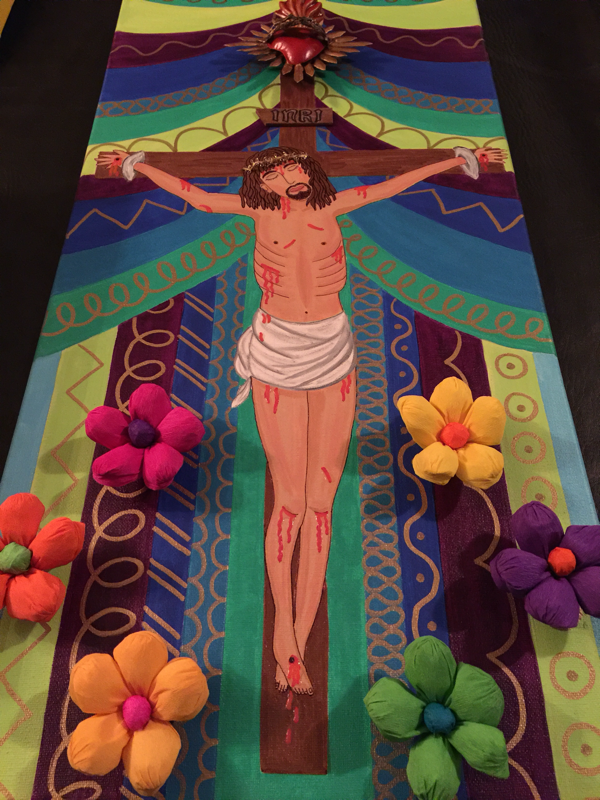 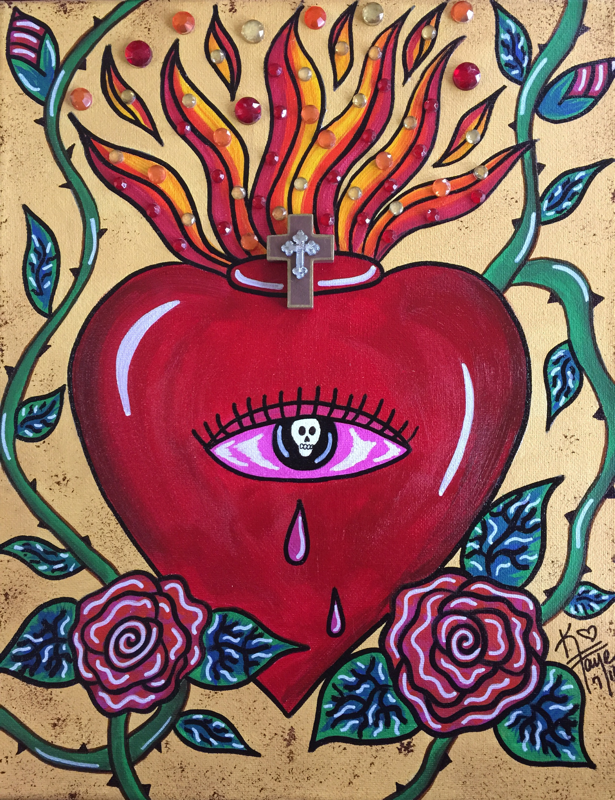 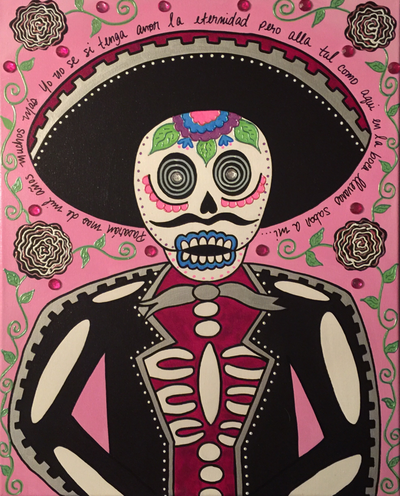 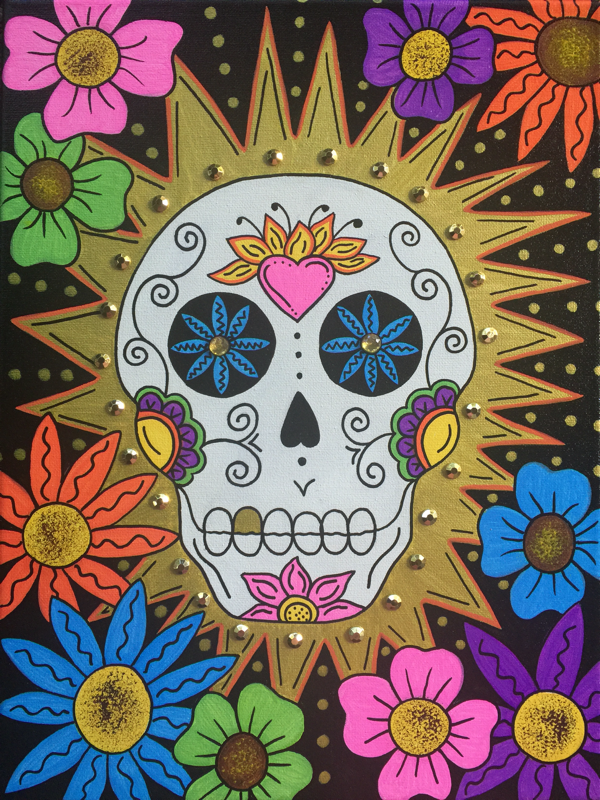 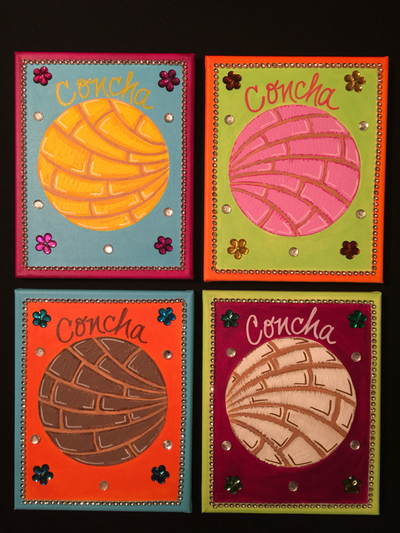 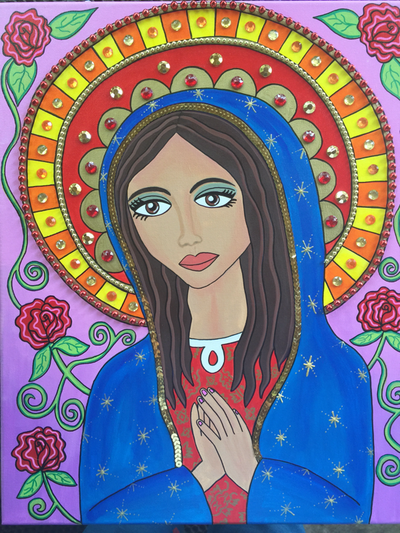 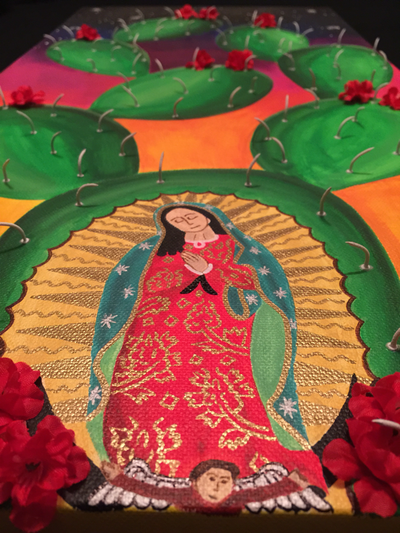 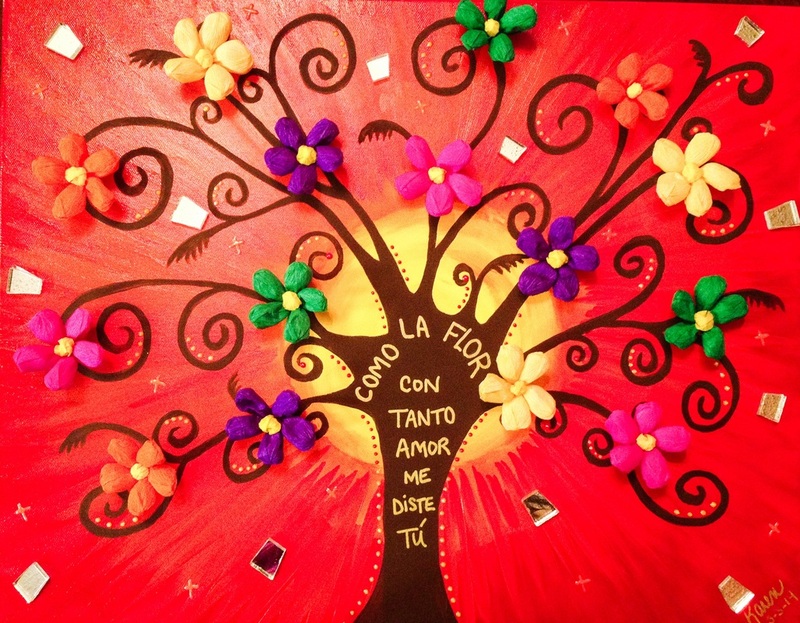 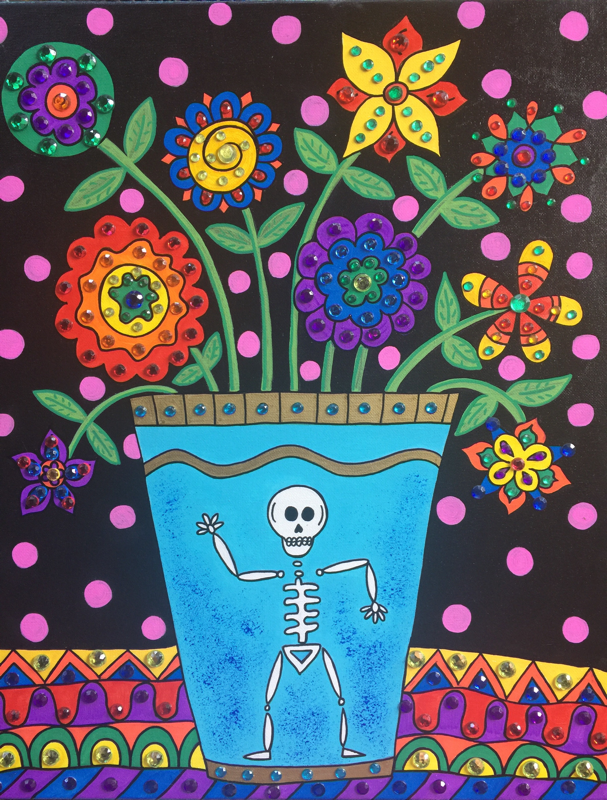 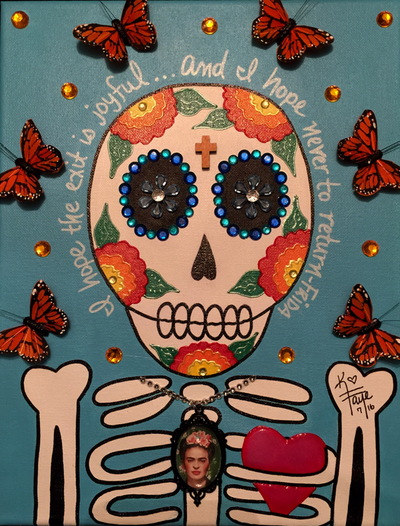 She enjoys painting pictures of religious images and symbols that represent her Hispanic/Catholic culture which include Dia De Los Muertos and gets most of her inspiration from her mother whom she lost in 2000. 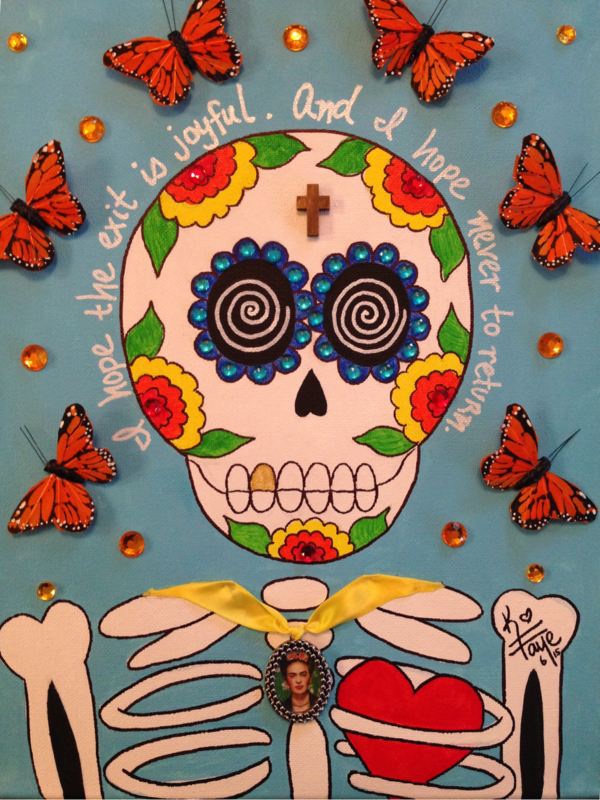 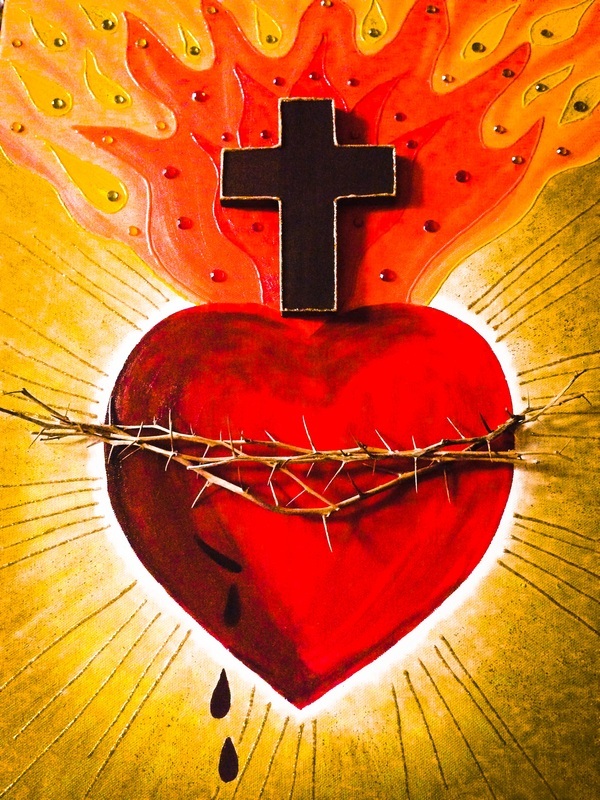 She keeps her spirit alive in most of her canvas paintings and crosses. 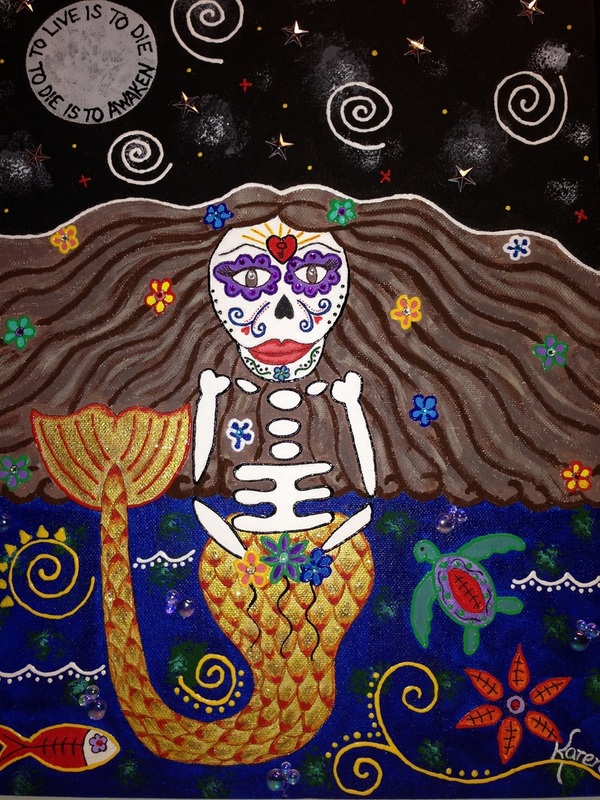 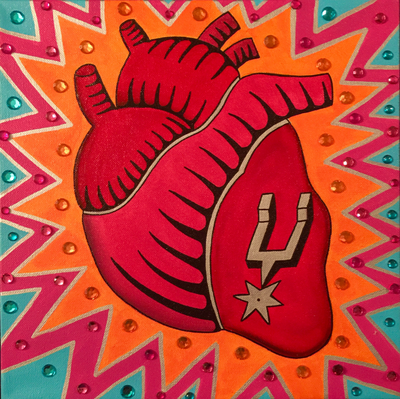 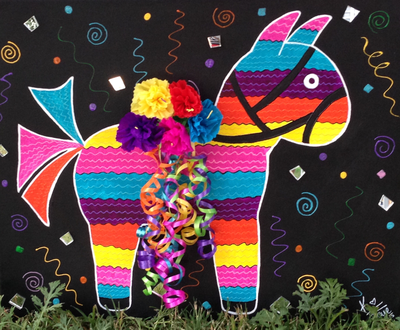 Four of Karen Faye's pieces were permanently displayed at Johnny's Mexican Restaurant located at 1808 N New Braunfels. Pictures of some of her work were featured on Kens5 Facebook page for the Our Lady of the Lake "Best of the West" fest which was held on April 11th 2015. 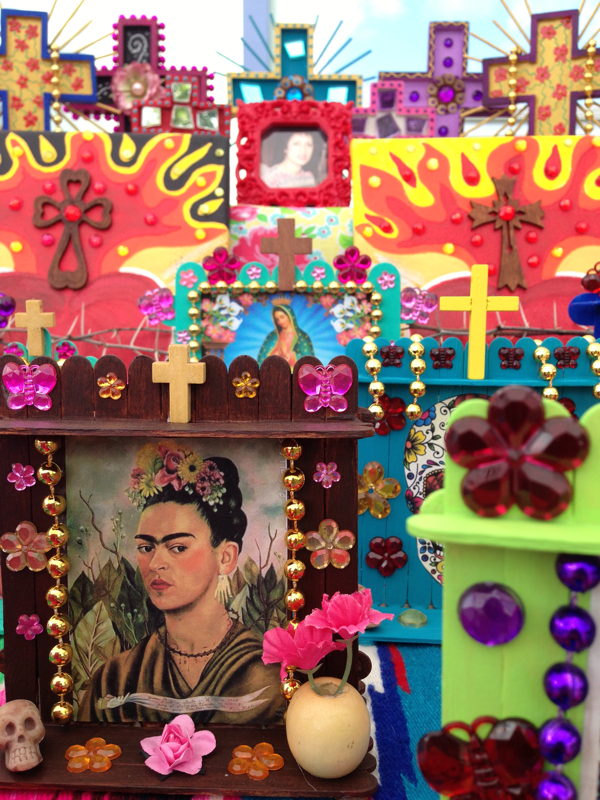 News 4 as well as The Current displayed an image of her work for the Jazz Fest which was held on July 5-7. 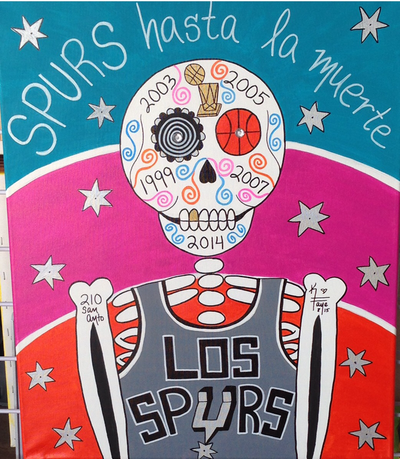 Images of her art can be found and printed on shirts at Southtown Uniform Shop located at 2336 S Presa in San Antonio. 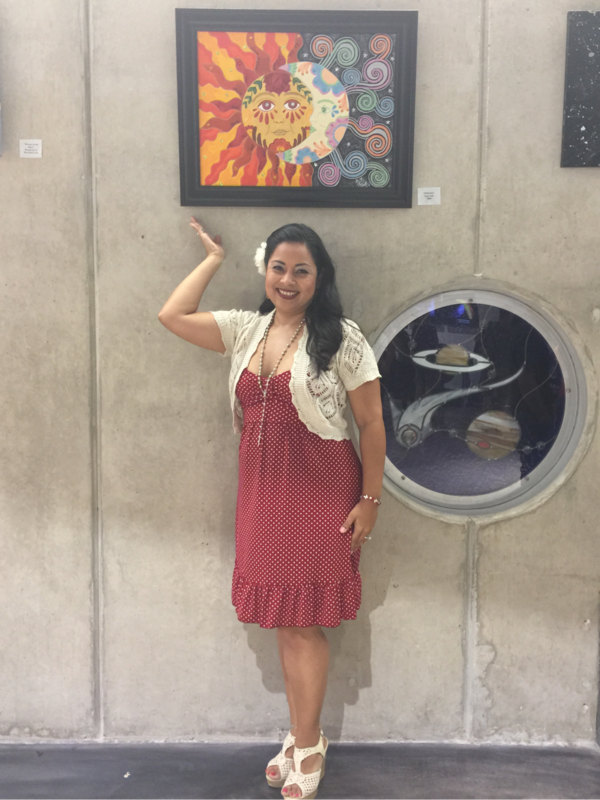 Karen Faye is grateful to have particpated in over 20 events. 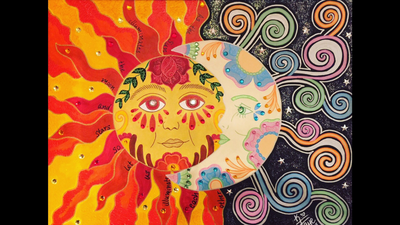 Upcoming events are to be announced.